This week in the series of Joy the Baker spotlight and cook-off posts we were asked to write a review of the full cookbook. And to be honest, I only have positive things to say. Sometimes when reviewing a product, I get a little nervous because I’ve been disappointed in the quality or it just isn’t as “great” as I thought it could be. Well, in Joy’s case, the situation is the exact opposite. As a fan of her blog for years, I certainly had high expectations for the cookbook. But when the book came in the mail a few weeks ago, I could not stop reading through the recipes and staring at each photo. I created a mile-long list of recipes that I can’t wait to try and each time I page through the book again (which I do for fun), I find something else that I can’t wait to make. So in this final week I couldn’t help but make another recipe to share. This time I went with her Simple Vanilla Cupcakes and topped them with the Chocolate Cream Cheese Frosting. I adapted the recipes slightly, but was thrilled with the flavors in the cupcakes and the icing. These look amazing. So glad you enjoyed the book! I can’t wait to get my copy – it’s really annoying that it seems to come out here a month later than in the States! Great choice of recipe as well, you can’t beat a vanilla cupcake and I love that chocolate cream cheese icing! That’s the latest cookbook that I’ve added to my cookbook wishlist (which is out of control)! I’m always glad to know when someone really liked it. I’d love to try this recipe for a full cake, it sounds delicious. That chocolate cream cheese frosting is the stuff dreams are made of! These look amazing. Love your photos, especially the one where the cupcake has a bite taken out of it. You have such a lovely site. these are gorgeous!! I love that you piled that frosting nice and high :) I really need to get a copy of this book! That seriously looks like the most perfect cupcake. My favorite of all time is vanilla with chocolate frosting. I definitely want to get my hands on that book and it is great to hear it is worth it. Pictures are essential for me and good cookbook. I met Joy last week and watched her cook in person (blogged about it) and she is the sweetest, most fun-loving, kindest person…her humor on her book pages is just what she’s like in real life. And every recipe in the book, I want to make. And I never say that about cookbooks! I too love that you piled the frosting extra high. I don’t bake much – the intimidation of measuring and (still) messing up gets me every time – but I think I just might try this! Thanks, Erin. Once you get used to the exact measuring it becomes less intimidating and a lot more fun! That’s a delicious, classic cupcake. I can never get enough of moist vanilla cupcakes OR cream cheese icing. Just say the word and I’ll set aside a cupcake and big slice of cake for you! I have a question. How the heck do you take a bite out of a cupcake like this with all that icing and not get the icing up your nose? Peanut Butter & Jam Milkshake – that sounds incredible!! I’ve been reading Joy’s blog for a year or two now, and I’d love to check out her cookbook – sounds awesome. My favorite cupcake is actually yellow cake with chocolate icing so this sounds so absolutely perfect to me! I still have to get Joy’s cookbook! Mmm, those cupcakes look perfect! Thanks for the review, I’m looking forward to getting my own copy. :) So, did you share these as “samples” with your co-workers as a parting gift? I bet you’ll get some business from them! I actually kept these at home because my husband said they were “too good” to share lol! These cupcakes look sooooo good. The frosting sounds just delicious. Thank you for the cookbook review too. i can’t wait to get Joy’s book! Love love LOVE Joy The Baker and can’t wait for her book to arrive here in the UK…only 2 weeks to go! I couldn’t have said it better myself! But…I’m going to have to on Friday I guess. Or at least die trying. Your photos are looking AWESOME lady! Whatever you’re doing, keep it up! Now if only I had any idea what I was doing I could keep it up;-) Meanwhile I felt like my photos for this post were all over the place so thanks, love! These cupcakes look amazing! I’m a big fan of chocolate. I work for Kamut International. I bet this recipe would be equally as delicious if made with Kamut wheat flour too. Yum! Pretty sure I am moving this cookbook from my wishlist to my shopping cart on amazon right now. Awesome review, Lauren…and I’m totally psyched that you seem to love this book just as much as I do. Thank you so much for being a part of this Joy the Baker Cookbook Spotlight & Cook-Off =). Now, pass me cupcake! These look fabulous! I love the chocolate cream cheese frosting piled up on top! This cookbook sounds like one I need to add to my wishlist! I agree with all of your comments about Joy’s new book. I can’t wait to try every single recipe. I have enjoyed meeting you in this fun cook-off. Very nice post. The texture of these cupcakes looks fantastic. I’ve found that everything I made from Joy’s book had excellent texture…especially the jalapeno chive biscuits. Chocolate cream cheese icing is on my (long) list of things to try. It was fun baking with you! Great review and cupcakes! I’ll have to keep this in mind the next time I am cookbook shopping. Thanks! I have only heard good things about this cookbook and can’t wait to get my hands on a copy of it!! 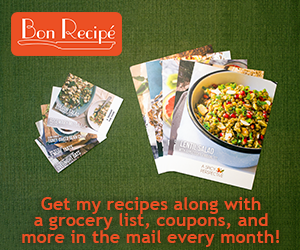 i love your style of review…i am enjoying the cookbook too! That frosting looks too good! I just bought her cookbook a couple days ago and I can’t wait to dive into the recipes! They all look so good I can’t decide where to start! You hit the nail on the head when you described this book. It really does have everything I look for in a cookbook. So nice to know that someone else feels the same way as I do:) Those cupcakes look fantastic! This looks so tasty. I’m already drooling over it!